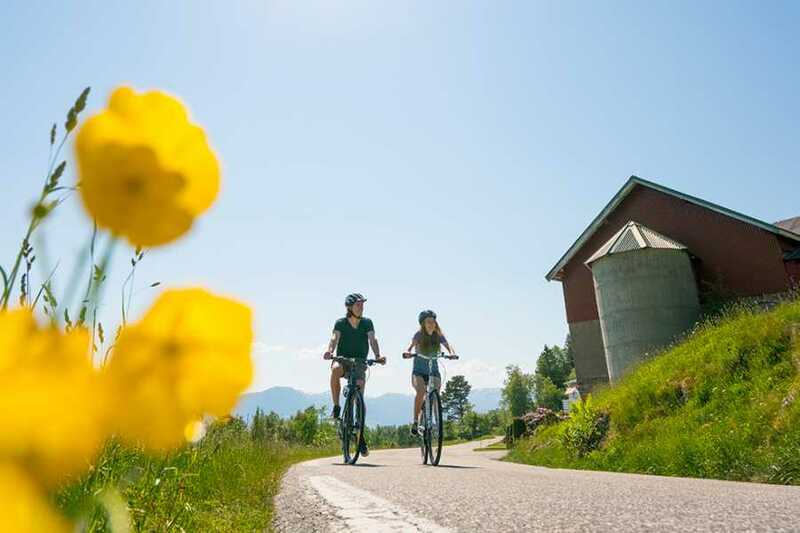 A fun and challenging activity we offer at Sogn Tours is to follow a bike route along the Sognefjord and across the mountains here in the spectacular Norwegian countryside. 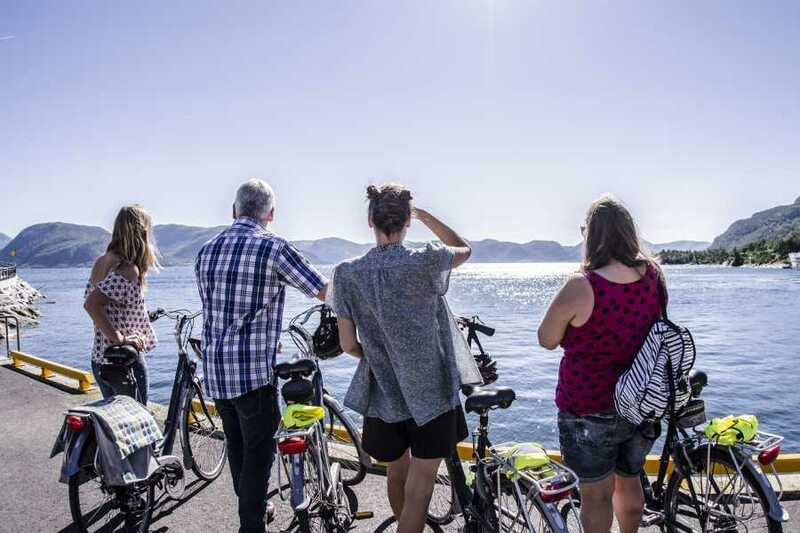 We provide bicycles and can recommend bike routes in the area that are a perfect fit for any kind of cyclist – whether you are a weathered semi-pro or an enthusiastic newbie! 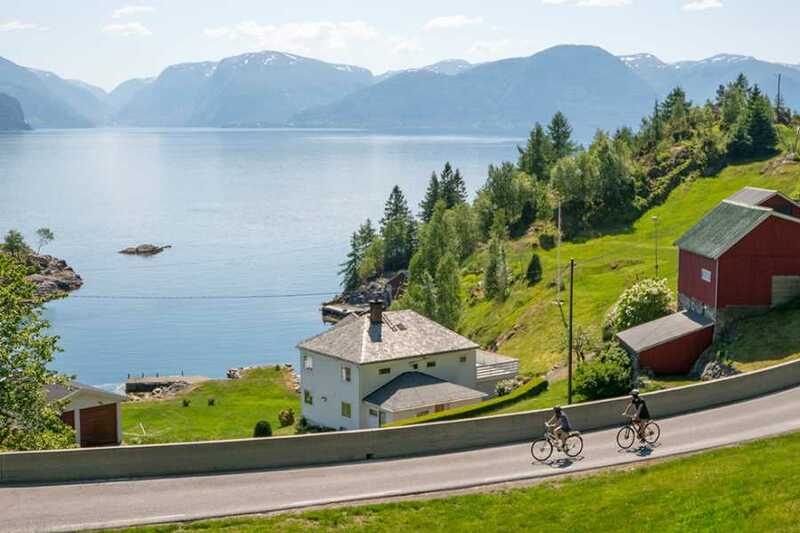 On the north side of the Sognefjord, where Lavik is located, there are two different bike routes available, both leading to villages in the surrounding area. 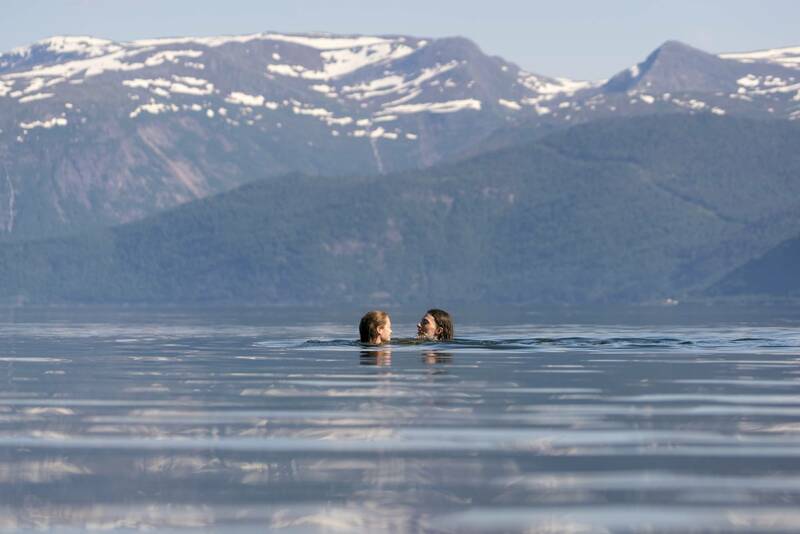 Recommended is either the trip to the beautiful harbour village of Leirvik or the trip to Hyllestad, which can be challenging due to the steepness of the road in some places, but which is worth the trouble! 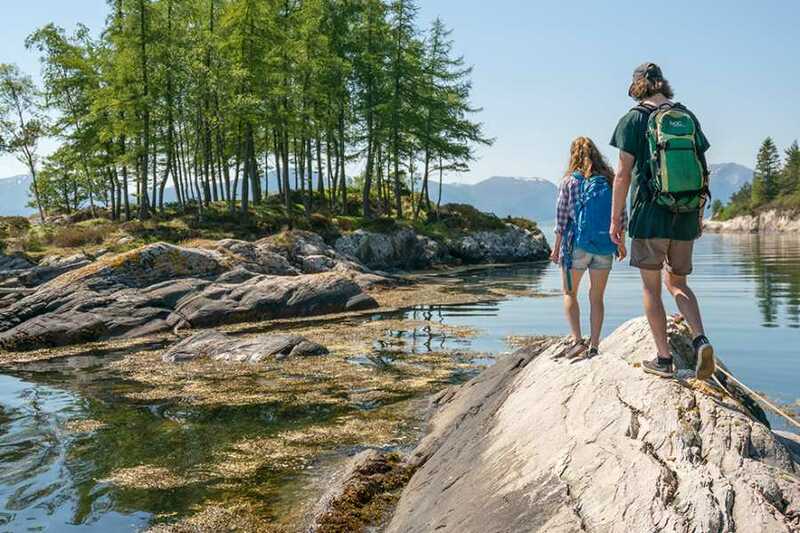 In Hyllestad there is also the exciting ‘’Kvernsteinspark’’, a ancient millstone park, where you can enjoy a guided tour, grind your own flour and bake bread over the fire Viking-style. Our easy-terrain bikes ( 'Scott sub cross 45' ) are ideal for all sorts of bike riding. 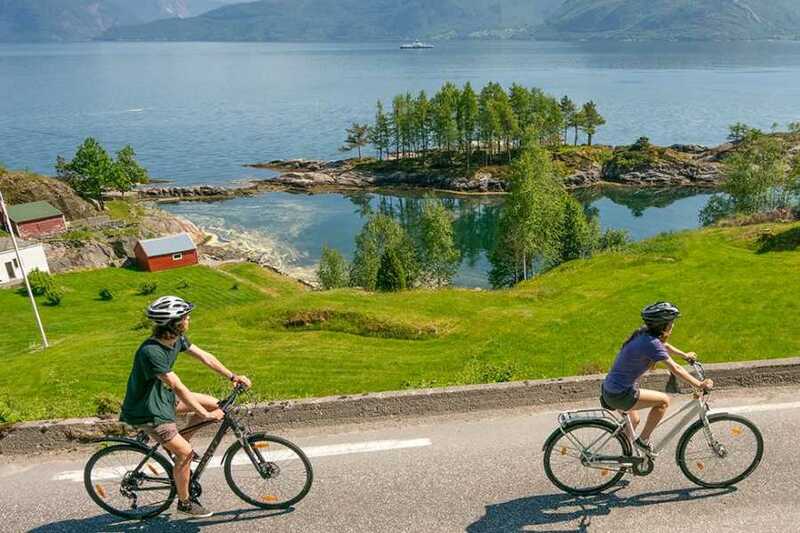 Wether you plan for a lazy ride along the shore of the Sognefjord, or a longer ride around Lavikdal and Hyllestad: the easy-terrain bike will do the trick. these bikes come with fenders to protect you from dirt. for a bike ride on flat surfaces or on gravel. 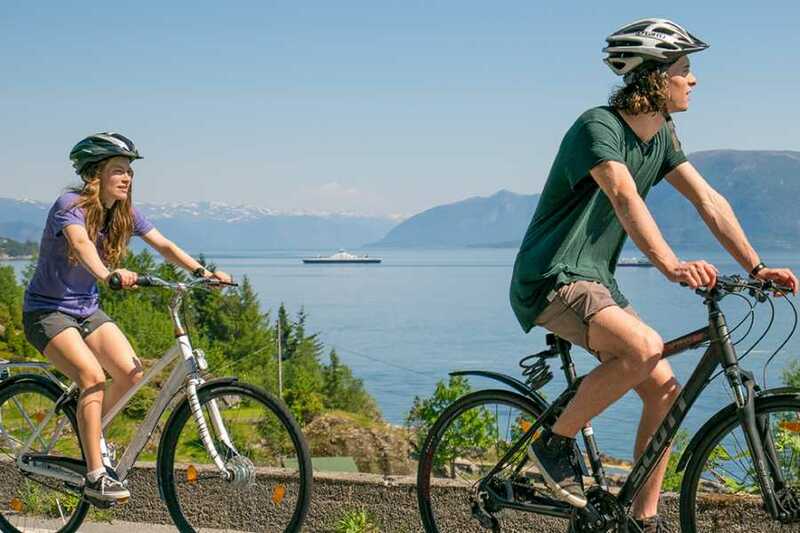 The touring bike ( 'Merida hybrid freesport 8' ) is ideal for longer tours and for those who want to have a really easy time pedaling greater distances. This bicycle is your companion for tours to the 'Kvernstein park' in Hyllestad or a ride to Ikkjefjord and the 'Masness Wildernessmuseum'. For safety we also offer bike helmets and visibility vests. 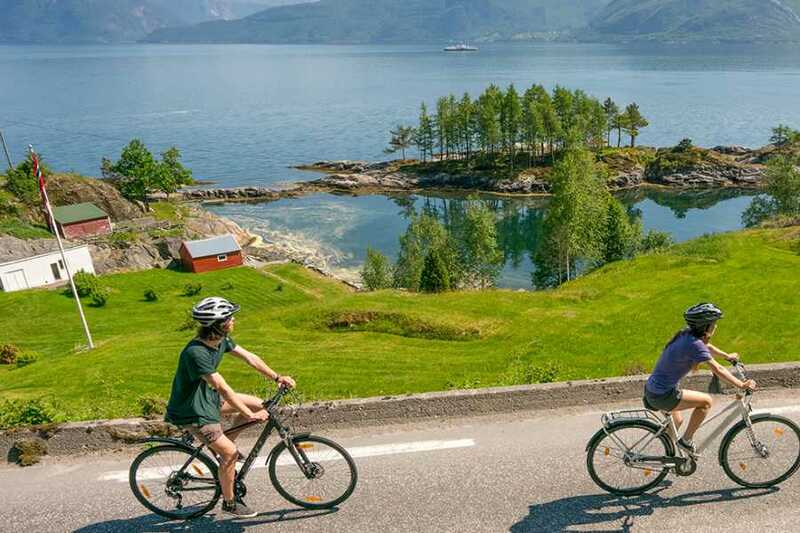 Pick up and return your bicycle in Lavik at Lavik Fjord Hotell.